1. Make it easy for people to file timely charges of discrimination. Put a fillable form on the EEOC website, allow people to sign and file charges electronically and immediately, and serve the charges upon employers immediately. They can always be amended later, and the amendments promptly served. The IRS does it for taxes, and the NLRB does it for unfair labor practice charges. The Commission can do it too. 2. You can lead charging parties to preserve their rights by asking questions, the same way tax preparation software does, and filling out the charge based on answers. Insert the State and local FEPAs automatically, and allow for more than one because coverage remedies differ. 3. Insert a place where the charging party can identify counsel, and have the software ensure that counsel are always notified of events. 4. In any re-writings of charges, train staff so that they stop dropping claims by mistake, neglect, and inadvertence. 5. Put facts into the charges, and end the practice of replacing facts with uninformative boilerplate. 6. Allow charging parties to submit changes of address and changes of counsel online. 7. Do not hurt the agency’s credibility. Stop taking the respondent’s words as golden and incense in front of it. This tells employers and employees alike that the Commission does not care about their facts. Only a real, questioning, examination of facts will restore credibility. Train the Commission’s staff in critical thinking, give them performance standards, and eliminate those who cannot perform. Stop premature kick-outs of charges shortly after they are received. Same-day kick-outs should be barred. 8. Help the agency do more with fewer resources. The agency cannot do it all, and trying to do so just wastes time and resources. Use the information available, instead of turning up the agency’s nose at the available help. The greatest source of information with which to evaluate the position statement is the charging party and her or his counsel. Charging parties and their counsel need to be given copies of respondents’ position statements and all their attachments, and invited to submit responses. The position statements need to be served on the charging party and counsel as soon as they are received, ending the absurd practice in some offices of providing them only after the commission receives a file-stamped copy of the court Complaint. The Commission should end the absurd practice in some offices of having staff members paraphrase the position statements, or re-write them. It burns up staff time and is not nearly as useful as providing the actual documents. Those responses should be a great help to the Commission in focusing its investigation. Its offices should be required to follow up on the responses, instead of ignoring them and accepting the employer’s word as golden. The responses should be provided to the employer for its comments. More than one cycle may be needed. The important point is the Commission [uses] the parties to inform itself as to a lot of the facts, and the responses will allow a narrowing of the dispute. 9. The Commission should again become a national agency, instead of the present system of 50-odd principalities making up their own standards and procedures. The Commission’s pendulum of control tends to get stuck at the extremes, and the present system of letting every office do what it wants has not worked very well. 10. The commission should make it easy to contact every staff member. It should have an online directory of names, titles, locations, mailing addresses, telephone numbers, and e-mail addresses. Agencies like the State Department do this as a matter of routine. I went to www.state.gov and searched for “Telephone Directory” and this led me to [a PDF “Organizational Directory” which lists telephone numbers for many of the staff]. About the author: The author’s name is Rick Seymour. Richard Seymour graduated from Harvard Law School in 1968, and has worked in civil rights and employee rights ever since. In the 36 years since leaving the U.S. Commission on Civil Rights in 1969, he has spent more than 90% of his time representing plaintiffs in class actions. This week, Wegmans, a family-owned grocery store chain, announced it would open its first location in New York City. The announcement prompted an outpouring of devotion for the company. The New York Times noted it can actually claim a “cult following.” Part of the devotion to the store is not just that it manages to have a huge selection while offering prices that can compete with Walmart, but that it does it while treating its employees well. The perks start with pay, which for hourly store employees is a little more than $33,000 a year on average. By contrast, Walmart has admitted that more than half of its employees make less than $25,000 a year, although it recently announced a wage increase, and retail sales workers make a median $21,410 annual salary. Anonymous pay sites like Glassdoor and Payscale also show that a Wegmans cashier can expect to make more than $9 an hour, on average. But that’s not what makes the company famous for employee satisfaction, landing it on Fortune’s 100 Best Companies to Work For list every year since the list began. It also offers generous benefits. It pays about 85 percent of the costs of health care coverage, including dental, for its full-time employees and offers insurance to part-time workers who put in 30 hours a week. It offers 401(k) plans with a salary match of up to 3 percent of an employee’s contribution. And it has a scholarship program that awards tuition assistance to employees, which has paid out $100 million to 32,000 employees since it began in 1984. The program gives part-time employees up to $1,500 a year and full-time employees up to $2,200 a year to study at any college in any field. Starbucks’s lauded scholarship program, by contrast, used to only be for studying careers that directly prepared employees for working at Starbucks and now is only applicable for studying at Arizona State University. The share of companies offering employees college assistance has been trending downward. Wegmans also offers more work/life balance than most retail jobs. It gives employees 11 days of paid vacation and holidays and three extra days of paid time off. It’s known for flexible scheduling, a perk that regularly tops surveys of its own workforce as the most important benefit offered. Managers have the power to craft their own schedules and work with employees’ needs, and many workers use an online system to lay out their availability around their own schedules. In retail at large, on the other hand, more than a quarter of workers report irregular and unpredictable scheduling like being made to be on call or working two shifts in one day. Nearly 40 percent of retail workers in New York City say they don’t have a set minimum of hours week to week. These benefits aren’t just altruistic. The company generates $7.1 billion in revenue and is profitable. “When you think about employees first, the bottom line is better,” the company’s vice-president for human resources has said. The company boasts a 5 percent turnover rate among full-time employees, compared to a 27 percent rate for the industry. That comes with a cost, as it often eats up about 20 percent of a worker’s salary to replace him. This blog was originally posted on Think Progress on May 14, 2015. Reprinted with permission. This blog was originally posted on Our Future on May 20, 2015. Reprinted with permission. About the Author: The author’s name is Terrance Heath. Terrance Heath is the Online Producer at Campaign for America’s Future. He has consulted on blogging and social media consultant for a number of organizations and agencies. He is a prominent activist on LGBT and HIV/AIDS issues. During a meeting of the Michigan House Committee on Commerce and Trade, Republican lawmakers sneakily introduced a substitute bill replacing HB 4052. The new legislation, sponsored by Rep. Earl Poleski (R), overrides all local ordinances governing employers’ relationships with their employees. Because of the way it would impose state control, opponents have dubbed it the “Death Star” bill. Not only does it have implications for any local ordinance that controls minimum wage, benefits, sick leave, union organizing and strikes, wage disputes, apprenticeship programs, and “ban the box” policies (blocking employers from asking about felony convictions), but it would also override the LGBT protections that exist in 38 Michigan municipalities. “A local governmental body,” the new HB 4052 reads, “shall not adopt, enforce, or administer an ordinance, local policy, or local resolution regulating the relationship between an employer and its employees or potential employees if the regulation contains requirements exceeding those imposed by state or federal law.” Because state law does not include employment protections based on sexual orientation and gender identity, all of the municipalities who do protect LGBT workers would have their ordinances voided, similar to a law that passed earlier this year in Arkansas. invalidate Michigan’s 38 local nondiscrimination ordinances, the Chairman was forced to ask: ‘Will this bill really do that?’ The answer is: yes, absolutely.” East Lansing was the first community in the country to protect against discrimination based on sexual orientation; its first ordinance became law in 1972. The “Death Star” may be one of the most sweeping preemptive bills ever considered in any state. Ten states have passed bills prohibiting cities from enacting paid sick day policies, legislation championed by the American Legislative Exchange Council (ALEC). Last month, Oklahoma lawmakers passed a law overriding local bans on fracking. Michigan itself tried to preempt local minimum wage laws over a decade ago, but then-Gov. Jennifer Granholm (D) vetoed the bill, and Wisconsin lawmakers failed to pass a similar bill last year. Michigan Democrats have been pushing for LGBT nondiscrimination protections at the state level, but have so far been unsuccessful. Republican lawmakers are also considering a Religious Freedom Restoration Act (RFRA), like those recently considered in Indiana and Arkansas, but Gov. Rick Snyder (R) has said he won’t sign such a bill if LGBT protections aren’t passed as well. This blog was originally posted on May 13, 2015 on Think Progress. Reprinted with permission. About the Author: The author’s name is Zack Ford. Zack Ford is the editor of ThinkProgress LGBT at the Center for American Progress Action Fund, hailing from the small town of Newport, PA. Prior to joining ThinkProgress, Zack blogged for two years at ZackFordBlogs.com with occasional cross-posts at Pam’s House Blend. He also co-hosts a popular LGBT-issues podcast called Queer and Queerer with activist and performance artist Peterson Toscano. A graduate of Ithaca College (B.M. Music Education) and Iowa State University (M.Ed. Higher Education), Zack is an accomplished pianist with a passion for social justice education. Follow him on Twitter at @ZackFord. According to a fall 2014 poll by Pew Research center, 77 percent of women and 63 percent of men agree that “this country needs to continue making changes to give men and women equality in the workplace.” Although women hold 49.3 percent of jobs, they only earn 78 cents for every dollar a man earns. It’s even less for women of color – Hispanic women earn 54 cents for every dollar white men earn, and African-American women earn 64 cents for every dollar white men earn. The gender wage gap exists because of policies that fail to benefit American workers, and instead benefit their bosses. On Wednesday, May 13, 2015, the Economic Policy Institute in Washington, D.C. held a panel to explore the necessity of giving women meaningful equality in the workplace. Panelists discussed how structural differences in business regarding small employers and part-time workers keep the gender pay gap strong. Panelist Caroline Fredrickson, author of “Under the Bus: How Working Women are Being Run Over” emphasized how certain views about how women should advance themselves in the workplace, such as those Silicon Valley executive Sheryl Sandberg wrote in “Lean In,” might work for professionals in full-time jobs, but do not address the majority of America’s working women. “There’s nothing wrong with ‘leaning in,’ but it doesn’t address the problems that many women face in the U.S,” she said. In 2013, Sandberg rallied professional women across the country to “Lean In” and push for success in their personal and professional lives. Sandberg argued that women should speak up and have meaningful conversations with employers regarding paid leave, affordable child care, and other crucial benefits. But “leaning in” cannot fix the structural problems that need to be addressed through policy changes. The gender wage gap does not exist because not enough women are “leaning in,” but because of a system that allows part-time workers to be denied benefits and to be discriminated against by small employers, and that does not pay living wages. Part-time workers, members of racial and ethnic minorities, and mothers are among the highest numbers of women being failed by our system. Part-time work is a job category dominated by women. In 2014, almost 33 percent of all employed women over the age of 16 in the United States were classified as part-time workers. According to Frederickson, “8 million of these workers are involuntary,” meaning, that no full-time positions are available to them. Most workers in part-time jobs receive minimal to no benefits. It is also common for businesses to withhold hours from employees to exempt workers from benefit status. Paid sick leave, vacation days, and health insurance are typically unheard of. The role of motherhood also affects the workplace. According to the Department of Labor, The labor force participation rate for single mothers with children under 18 years of age was 74.2 percent in 2013, and 67.8% for married mothers (spouse present) with children under 18. Even with high numbers of mothers participating, mothers face some of the biggest hardships in the workforce. At Wednesday’s discussion, Kristin Rowe-Finkbeiner, CEO of MomsRising.org noted, “Being a mom is a greater predictor of job discrimination than being a woman.” Becoming a mom and having a baby is also the number one cause of “poverty spells,” where income dips below what is necessary for basic living expenses, she said. It is impossible for women to “lean in” if policies do not keep businesses from unfair labor practices. The United States needs to implement checks on our employment policies to protect workers and close the wage gap. The U.S. also lacks policies to protect working mothers. Today, the U.S. is the only developed country that doesn’t guarantee paid maternity and parental leave. Currently, 51 percent of new mothers receive no paid leave whatsoever. Paid leave is also a crucial benefit that many cannot receive. Four in ten private-sector workers and 80 percent of low-wage workers cannot earn a single paid sick day. Paid sick days would ensure that women would not lose pay or their jobs because they or their child fell ill. Even if more policies are put into place for paid leave, affordable childcare and paid sick days, one underlying force will continue to affect worker prosperity and the wage gap: the need for a living wage. Valerie Wilson, director of the Economic Policy Institute’s Program on Race, Ethnicity, and the Economy stressed that “raising pay for all workers” would make a significant difference in the gender wage gap. Women currently make up two-thirds of workers in low-wage jobs. By implementing a living wage, 15 million working women would have a greater ability to support themselves and their families. There is still a gender wage gap in 2015 because of a lack of policy measures to protect working women. Paid leave, affordable childcare, and paid sick days are all necessary benefits that would help to close the gap. Because women are disproportionately represented in part-time and minimum wage work, a living wage is also a necessity. Until fairer work policies are put into practice, the gender wage gap will remain persistent. This blog was originally posted on Our Future on May 14, 2015. Reprinted with Permission. About the Author: The author’s name is Emily Foster. Emily Foster is a regular contributor to Our Future. On May 7, 2015, OSHA obtained a preliminary injunction in a Section 11(c) whistleblower case barring Lear Corporation from further retaliating against the whistleblower, Kimberly King. The injunction is a significant win for whistleblowers because the court’s order broadly construes the scope of protected whistleblowing to include disclosures to the media, and it signals OSHA’s stepped up enforcement of whistleblower protection laws. Kimberly King worked for Lear Corporation at a plant in Alabama that produces foam cushions that are used in car seats and headrests. King raised concerns about the health effects of exposure to a chemical called toluene diisocyanate (“TDI”). Based on internal tests and tests conducted by OSHA, Lear concluded that TDI levels were within legal limits. King, however, remained concerned that she developed asthma because of her exposure to elevated TDI levels at the plant, and King shared her concerns with media outlets. An article on nbcnews.com described how TDI and other workplace chemicals correlate with certain respiratory conditions like asthma, and the article cited a physician who concluded that King is in the top 25 percent in terms of the levels of isocyanate antibodies in her blood. King also participated in a YouTube video accusing Lear of exposing employees to TDI. Lear suspended King and another employee from work without pay for participating in the video on the ground that King should have known that the plant was not exposing employees to elevated levels of TDI. In addition, Lear demanded that King recant her statements to the media. King continued to raise her concerns by going to Hyundai in March 2015 to deliver a letter asking it to fix the conditions at the plant. Lear then suspended King for seven days without pay, and upon King’s return, Lear terminated her employment and sued her for defamation and interference with business relations. enjoining Defendants from suing current or former employees because those individuals complained about health and safety or because they engaged in protected activity under the Occupational Safety and Health Act. In assessing whether OSHA’s injunction serves the public interest (one of prerequisites for granting a preliminary injunction), Judge Granade made a critical observation about the public policy undergirding whistleblower protection laws: “The public retains an interest in safe and healthy workplace environments for all employees, and protecting employees who speak up about perceived dangers in the workplace. This preliminary injunction may also help prevent future violations of section 11(c) and inform current employees of their rights under this section.” This order is a great example of the type of vigorous enforcement required to effectively protect whistleblowers. About the author: The author’s name is Jason Zuckerman. Jason Zuckerman is Principal at Zuckerman Law (www.zuckermanlaw.com) and represents whistleblowers nationwide. 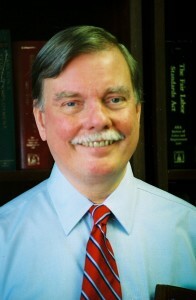 He is the author of the Whistleblower Protection Law Blog (www.whistleblower-protection-law.com). Facebook issued new employee benefit guidelines that raise minimum pay to $15 and extends leave for third-party contract employees who work behind the scenes on the social network’s campuses. In a blog post Tuesday, Facebook’s chief operations executive Sheryl Sandberg wrote that contractors and vendors in U.S. will have to adhere to new standards, including a $15 minimum wage, at least 15 days paid leave for vacation, sick days and holidays, and a $4,000 new child benefit for parents who don’t get paid parental leave. Effective May 1, the new benefits will cover contract employees who work as cooks, janitors, security guards and other support staff at Facebook’s headquarters in Menlo Park, California. The company plans to extend the benefits to third-party vendors with more than 25 employees at its other 16 campuses in the U.S. over the next year. Facebook will also absorb extra costs from the new program until contract companies can meet the new standards, a Facebook representative told the Wall Street Journal. The new program, which Sandberg said will primarily benefit women who make up two-thirds of the minimum wage workforce, aims to bring temporary or contract workers closer to the perks Facebook employees get, such as three weeks vacation, parental leave and new baby bonuses. The move also follows a strong backlash from Silicon Valley’s invisible workforce. The employees tech companies lean on to provide the benefits full employees get such as free transportation, meals, security and personal grooming services, often face untenable work schedules with skimpy compensation by contracting companies. Earlier this year, shuttle bus drivers for Facebook employees unionized to fight grueling shifts and better pay. Amazon, which has frequent labor disputes, recently removed a controversial clause in its employment contract that banned seasonal and contract workers from getting jobs at companies that may only remotely compete with the online retailer. Google hired more than 200 security guards last year instead of contracting the services out, giving them the same benefits — retirement, health insurance and paternity leave — as the company’s other employees. In a less traditional move, Apple and Facebook also expanded their health benefits, allowing female employees to freeze their eggs under the company’s insurance plans. This blog was originally posted on Think Progress on May 13, 2015. Reprinted with permission. Salons will now be required to be bonded — which is intended to ensure, through a contract with a bonding agency, that workers can eventually be paid if salon owners are found to have underpaid the workers. The move is an attempt to counteract the phenomenon of salon owners’ hiding assets when they are found guilty of wage theft. Additionally, health and safety measures will be put in place, like requiring manicurists to wear gloves and masks and salons to be ventilated, while the Health Department will investigate the most effective health protections to incorporate into what will eventually be permanent policies replacing the short-term emergency measures. Some of the abuses Sarah Maslin Nir’s investigation into New York City nail salons exposed may be especially prevalent in New York, where there are more nail salons per capita than in any other American city and where manicures cost below the national average. That might, for instance, make wage theft more common and more aggressive than in other locations—but that doesn’t mean it’s not happening in California and Illinois and Massachusetts, too, and states should take this as a spur to inspect their own nail salons. And the health hazards manicurists face similarly deserve a good hard look by state regulators. Customers might end up paying a couple dollars more for a mani-pedi, but we’re talking about workers’ lives here, and their ability to collect the pay they’ve legally earned. This blog was originally posted on Daily Kos on May 9, 2015. Reprinted with permission. About the author: The author’s name is Laura Clawson. 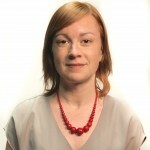 Laura Clawson has been a Daily Kos contributing editor since December 2006. Labor editor since 2011.